The core is the torso of the body that incorporates muscles of the abdomen and the middle and lower back. Gaining core strength involves a collection of workouts that would stabilize and strengthen these muscles. • Side Plank: Place your elbow at a right angle just under the shoulder, straighten your hips and back and contract the glutes. Hold the position for 30 seconds and repeat with the other arm. 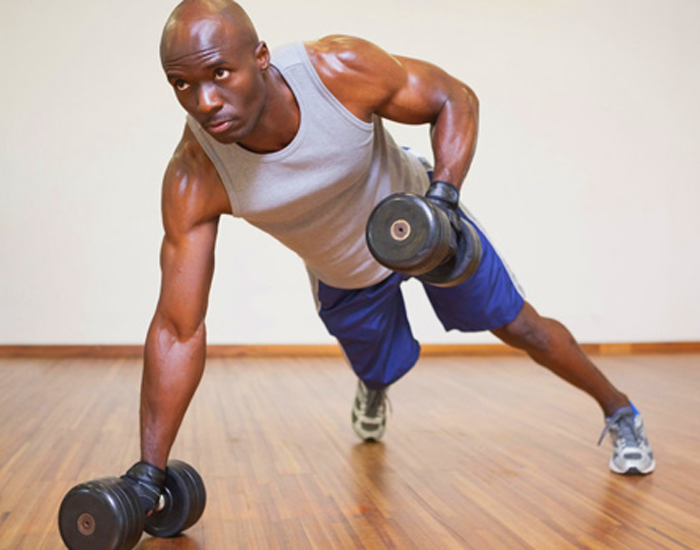 • Renegade Rows: Supporting your hands on two dumbbells, take the position of a push-up. Pull one dumbbell to the ribcage as the other rests. Repeat the same for the other hand. Maintain a straight posture. • Weighted Back Extensions: Raise the back extension machine at hip height, hold a weight plate close to your chest and bend downward. • Medicine Ball Slams: Stand upright with a slam ball, lift the ball overhead and contract your abs as you slam it hard on the floor. 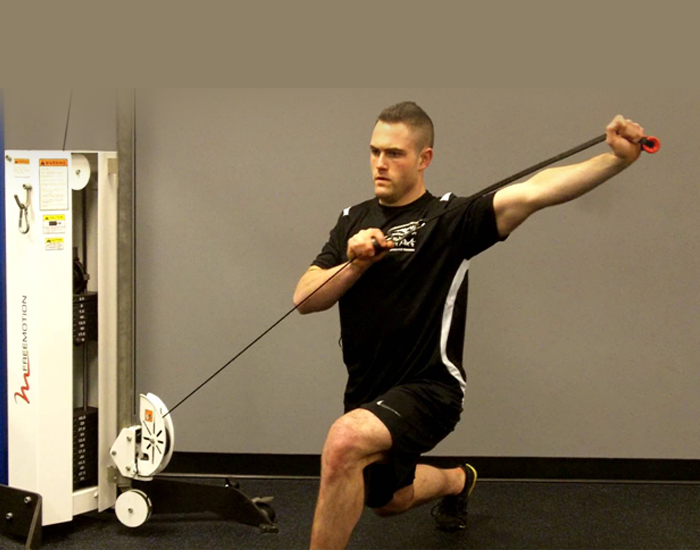 • Split Stance Cable Lift: In a half kneeling position pull a straight bar diagonally upwards and push the bottom hand forward. • Ab Wheel Rollouts: Hold the ab wheel with both your hands, get on your knees, straighten your back and arms. Push the ab wheel forward and then pull it back. • Dragon Flags: Lay back straight on a bench, hold the sides of it, pull the knees near the body, straighten the legs up in the air and lift your back so that only your heads and shoulders are in touch with the bench. • Hanging Leg Raises: Hang off and stretch from a pull-up bar so that your spine is straight. Inhale and raise your knees as much close as possible. As you stretch again, exhale.